The Ministry of Justice last week announced that it intends raise the small claims limit for personal injury claims from £1,000 to £5,000. The change was originally proposed in last year’s Autumn Statement, by then-Chancellor of the Exchequer, George Osborne, along with a ban on general damages for whiplash injuries. The consultation released by the Ministry of Justice on Thursday last week proposes either scrapping damages entirely or placing a cap on ‘minor’ whiplash injuries, which would see the average pay out cut from £1,850 to a maximum of £425. The change to the small claims limit means that people with claims worth less than £5,000 would have to pursue them in the small claims court. 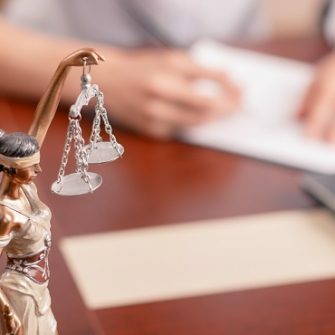 As legal costs in the small claims court cannot be recovered, this effectively leaves claimants with the choice between bringing a claim as a litigant in person with no legal advice, paying for legal representation out of their damages, or not pursuing the claim at all. When the proposals were first announced in November 2015, many in the legal industry feared that people whose injuries were considered to be minor, and fall within the new limit, would have their access to justice undermined, as those defending a claim may still be able to afford legal advice. The proposals have been heavily criticised by the Law Society of England and Wales. President Robert Bourns said: “These proposals will completely undermine the right of ordinary people to receive full and proper compensation from those that have injured them – often seriously – through negligence. “This five-fold increase will stop people from getting the legal advice they need in order to bring claims for the compensation they are entitled to in law. Other proposals in the consultation include introducing a transparent tariff system of compensation payments for claims with more significant injuries. The government also proposes banning offers to settle claims without medical evidence. Justice Secretary, Liz Truss, said: “For too long some have exploited a rampant compensation culture and seen whiplash claims as an easy payday, driving up costs for millions of law-abiding motorists. There have, however, been concerns that motorists will not see these savings and that there is no plan to ensure insurers pass them on, though some companies have already said that they will pass on 100 per cent of savings to consumers. Consultation on the proposals will run until 6 January 2017.